The least-squares policy iteration approach works efficiently in value function approximation, given appropriate basis functions. Because of its smoothness, the Gaussian kernel is a popular and useful choice as a basis function. However, it does not allow for discontinuity which typically arises in real-world reinforcement learning tasks. In this paper, we propose a new basis function based on geodesic Gaussian kernels, which exploits the non-linear manifold structure induced by the Markov decision processes. 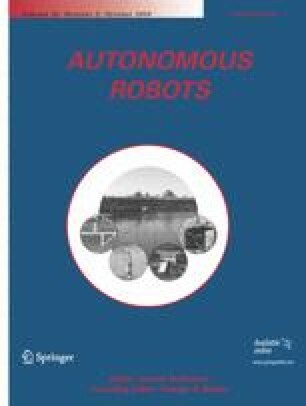 The usefulness of the proposed method is successfully demonstrated in simulated robot arm control and Khepera robot navigation. The current paper is a complete version of our earlier manuscript (Sugiyama et al. 2007). The major differences are that we included more technical details of the proposed method in Sect. 3, discussions on the relation to related methods in Sect. 4, and the application to map building in Sect. 6. A demo movie of the proposed method applied in simulated robot arm control and Khepera robot navigation is available from http://sugiyama-www.cs.titech.ac.jp/~sugi/2008/GGKvsOGK.wmv.